It’s now a fact that millions more people find romance and happiness online than offline. That’s probably because online dating offers advantages that don’t exist in “real life”. These include not having to deal with the humiliation of public rejection. That’s why matching up modern technology with international dating makes so much sense. You get the chance to meet and date younger, more intelligent women who actually value you for who you are, and not what you can give them. Chicks in the West are all about their hypergamy, something you won’t have to deal with in Asia, Eastern Europe, or any of the other amazing international dating destinations available to you. This new zeitgeist in human relationships means you can now meet somebody who is not only a match for you on a personal level, but on an educational and spiritual level too. Online dating has a lot of perks, but there’s nothing quite like meeting your date in the flesh. In fact, this is one of the biggest challenges North American and European guys face on the dating scene – getting a lady you’re interested in to commit to a date. You see, even the fugly women on these dating sites get a lot of attention – 60% of all female profiles get at least some interest from single men. So you’re competing with a lot of other guys straight off the bat. Now, if we flip that and look at LoveMe.com you’ll see why it’s such a great idea. Instead of investing weeks, months (or even years) of your life in chasing one online date after another, with Love Me you get to meet these women in person, but only after you’ve checked out their profile on the site. And not just some random chick on a dating app – with the added risk of meeting a bunny boiler – but single foreign women who actually want to meet, date, and get married to guys from the U.S, Canada, the UK, Australia and New Zealand, etc. Love Me has been around since 1995, so it isn’t some Johnny-Come-Lately to the international dating scene – these guys pretty much invented it. They offer a full range of services to make your dating adventures as successful as possible. So, in addition to organizing romance tours to South America, Eastern Europe, the Philippines, and China, their website also has some really cool features like the ‘Live Interpreter Service’. Even if you’re lost for words your translator won’t be. Asian women are hot… And they have zero issues dating Western guys, including those guys who have a few more miles on their clock. The only real snag with dating a chick from Vietnam or the Philippines is figuring out which Asian dating sites are legit and not total scams. We totally get where you’re coming from, and we’ve found two solutions for you in the form of two of the better known international dating websites. This is more than just another dating site. Because Asian date brings Western guys together with Asian women from over 1,000 different dating agencies. This is especially important considering how vast Asia is, and that it has a population well in excess of 1 billion. Asian Date provides you with a free-to-register platform you can use to browse through the profiles of 15,000 of the world’s most beautiful women. One of the things we love about AsianDate is that you can take your dating from online to real world in a matter of a few weeks, and all under the secure umbrella of the site. Love Me is that little bit different to regular dating sites. That’s because it’s more like a digital matchmaking service, and not just another place for you to flick from profile to profile, idly trying to find “the one”. This is a site all about international dating, and right now the ‘Asian Women’ section features the profiles of 16,800 single Asian women looking for Western guys to date, fall in love with and marry. What we love about Love Me (is there an echo here?) is that it just feels a bit more transparent than almost every other dating site that focuses on Asian women. South and Latin America is a real melting pot of looks and cultures. All the European and Native American influences blend together to produce some of the most stunning women on the planet. You only need look at Salma Hayek, Daisy Fuentes, Adriana Lima, or Alessandra Ambrosio to get an idea of what we’re talking about. Now, all you need are some dating websites dedicated to helping you hook up with similar hot Latinas. This is the perfect site for guys who want to spend some time getting to know chicas, Ticas and Latinas for romance, dating and more. The site is free to register for, but you don’t have to pay for a monthly subscription. Instead you purchase credits that you then use to access the different features of the site. But you only have to use these credits once your free access to these services has been used up. So, what are the single women on AmoLatina really like? Just imagine the most beautiful women from throughout South America all in one place , and you have a very clear picture of what to expect. AmoLatina is also available as an app for iOS and Android devices, so you can take your Latina dating adventure mobile, accessing it from wherever, and whenever, you want. A very small number of gold diggers get past their verification process, but that happens on every dating site. Now, if you’re looking for another international dating website with a dizzying selection of hot, single Costa Rican, Honduran, Mexican, Colombian, Peruvian and other Latin American women, then LoveMe.com is the perfect place for you to hang out. Unlike the vast majority of other international dating websites, you can actually see real user profiles on Love Me. And even better is that you can do that without having to provide credit card details, or even your email address. These guys have so much faith in the services they provide that they offer value first, and then you can choose to sign up for whatever dating tour makes the most sense for you. We get why most sites want users to register before being able to view profiles, but LoveMe.com throw that rule clean out the window. This speeds up the process of finding your perfect match. And then when you’re ready to take things to the next level, LoveMe.com will help you travel to meet her. They organize romance tours that head to places like Costa Rica, Peru and Colombia on a pretty regular basis. You want something more private? No problem – their Executive Service is there to help you enjoy a more personalized international dating experience. LoveMe.com is for the single romantic guy who wants to take his international dating adventure more seriously. Eastern Europe, and in particular Russia, is the home of modern international dating and it’s a still a great place for single guys to meet amazing, educated, fiercely beautiful single women. But Eastern Europe stretches all the way from Poland to Russia, which is a couple million square kilometres, with hundreds of millions of single women living within its borders. So, to speed up your dating efforts you’ll need to use dating sites dedicated to dating Eastern European women. If you’ve been on the Internet for more than a few minutes you’ll know that every single dating site has its own set of haters, and Anastasia Date is no different in that regard. But anyone who actually uses the site will know that it’s worth spending time on. Yes, it does use a communication system based on credits rather than a flat subscription fee, but they do offer discounts for first time users. Also, bear in mind that buying credits on the site is a hell of a lot cheaper than a meal for two in whatever fancy restaurant your Western date convinces you to bring her to. The women on Anastasia Date are pretty typical of what you’d see if you were strolling through Warsaw, Kiev or Moscow – they’re insanely hot. What’s nuts about Eastern European women is that they’re constantly critical of themselves, so they’re always looking to improve their physique, their style and their looks. Meanwhile in the west we have chicks with a sense of self-entitlement that would choke a donkey. And they think cute songs about “If you liked it, then you should have put a ring on it” are the answer to their eternal singledom. Anastasia Date still ranks as one of the most popular dating sites for meeting Eastern European women, and we totally get why that is. The only real criticism we have of Anastasia date is that it doesn’t provide you with any way of actually meeting the girl you’ve fallen for. Sure, you could book flights, hotel accommodation and learn some Polish or Russian in a hurry, but do you even have time to do that? Love Me makes all those problems go away because they’re more than just a dating site – they’re international matchmakers too. Their singles tours to places like Kiev, St. Petersburg and Crimea are now almost things of legend. But a picture speaks 1,000 words, and a quick glance at the profiles of just a handful of the thousands of single Eastern European women featured on the site will give you some food for thought…and a racing pulse. But, is there anything else that makes Love Me a better option than the competition? Let’s face facts, most dating sites look and feel the exact same. You pay your subscription, you set up your profile, and then you start looking for matches. 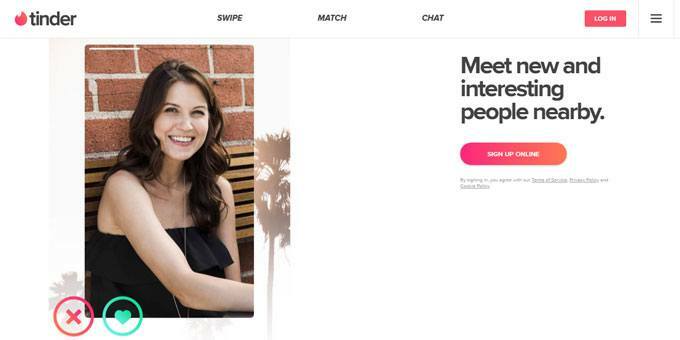 There’s nothing wrong with that approach, but the brains behind LoveMe figured out a long time ago that international dating was going to need more than just clean website design and engaging content. In fact, they knew that for the cream to rise to the top that single guys would need an international dating site that took care of all their needs. You might already be familiar with BeHappy2Day from their features in Forbes and Bloomberg Business Week, but if not they’ve been around since 2004. Yes, long before online dating was cool, and before a lot of pretender companies tried to jump on the international dating bandwagon. But how exactly do they go about that? In what’s becoming a more popular business model for international dating sites, you can register on BeHappy2Day free of charge, but you need to purchase credits if you want to communicate with your online girlfriend on a regular basis. They’re also quite different to other credit-based international dating sites in that you can preview the profiles of single women before you even sign up for a free account. The quickest way to do this is under ‘New Profiles’ from the homepage, plus you can filter by age from there, so you get the exact results you want. And you won’t be short of profiles of Eastern European beauties to click on because the site currently boasts somewhere in excess of 1.3 million members. The messenger pop-up windows can be annoying at times. Africa probably wasn’t at the top of your list of international dating locations you wanted to visit. You’re really missing a trick here, because not only are there millions of single African ladies looking for a Western gent to call their own, but they’re usually overlooked for the same reason you didn’t have any African country on your list of dating locations. We get why so many guys think of Eastern Europe or Asia before they look further below the equator for their next international dating adventure, and that’s the real secret – this is untapped territory, in more ways than one. The fact that Afro Introductions has been around since 2002, and has somewhere in the region of 2 million users, lets you know you’re not signing up for some “here today, gone tomorrow” dating scam. There’s also the tiny fact that they’re part of the Cupid Media network of dating sites, just to give you some extra peace of mind. What makes Afro Introductions stand out from the crowd? There are a few things we really like about this site, but the main one is that they manually verify all dating profiles. This reduces your risk of being scammed to almost zero. Another plus is they don’t ask for credit card details when you register for a free profile, which is more than fair. Are there any downsides to the site? Obviously a free account means limited access to certain features, so you do have to pay to truly play, with costs start at around $12 per month. Next up we have what is allegedly the fastest growing African site on the international dating scene. This is probably due in no small part to the fact they’re part of the World Singles Network, which has invested almost two decades of perfecting their approach to online dating. They even boast of having created more than 4.5 million romantic connections between people since they set up shop online back in 2001. African Love includes women from not just Africa, but from the Caribbean, and even African women who have emigrated elsewhere. This is why you need to broaden your mental horizons a little bit. You get all the usual features you’ve come to expect from dating sites, including free messages, and video chat if you have a ‘Platinum Package’ – these start at $24.99 for 30 days of access. If you’re looking for women that are more exotic than most, then Arabian dating sites are a great place to start. This is doubly true if you have specific religious requirements for your future girlfriend or spouse. As you might have guessed, Arabian Date is from the same company that runs sites like AsianDate and AmoLatina. So, if you’ve used any of these sites you know exactly what to expect i.e. registration is free, but you need to purchase credits to chat with any single women you’re interested in. It’s also worth mentioning that once you purchase your first credits that this activates a monthly subscription fee. Registration only takes a few seconds via Google, and you can skip completing most of the rest of your profile if you want to get straight into checking out the women featured there. The women on the site are as diverse a mix as you might imagine, including more westernized Arab and Asian women, but you’ll also find plenty of more observant ladies wearing the hijab. You might be asking yourself exactly what kind of guy goes down the road of online or international dating who doesn’t actually want a serious relationship? The truth is that some men do suffer from commitment issues, so the idea of meeting women appeals to them, but the idea of a truly meaningful relationship is something that takes time to grow on them. For the rest of the single guys reading this, we know you want to start your international romance as soon as possible, so we wanted to take a few moments to look at sites aimed directly at you. Nothing says “serious dater” more than a guy who has the guts to sign up for a singles dating holiday, and LoveMe.com is the best international dating site for single guys. Where other sites focus more on specific regions, Love Me allows you to connect with women from all corners of the world. So, it doesn’t matter if you prefer Russian ladies, Latinas, Filipinas, or even Chinese chicks, you’ll find them all here. We love how comprehensive each user profile is, covering everything from height, weight and eye colour all the way through to education and hobbies. This saves single guys an awful lot of time in trying to find the perfect female match, because you know you’re compatible on paper before you meet her IRL. Another option for guys who are 100% serious about finding the woman of their dreams is to use a matchmaker. Now, while this might sound a bit old fashioned, it’s a very effective way to meet women. You see, with regular dating sites you write up a profile, post your pic, and then start competing for the attention of the best looking women on the site. You might even consider taking your search a step further by going on a romance tour, but you know that you have certain standards that need to be met before you ever set foot on foreign soil. In those situations a matchmaker makes a lot more sense because you’re dealing with professionals who get to know you, your personality, and what makes you tick. But they also do this for the women that you might want to connect with. It’s not unusual for really good matchmakers to turn down clients on both sides – refusing women because they don’t meet their requirements, and refusing male clients because they’re simply never going to find the match they want. Please bear in mind that hiring a private matchmaker can be expensive, but you need to weigh that investment against what your future happiness is worth. Chatting by mail, text message, or email is fine, but it can be very difficult to really get to know a person this way. In fact, a 10-minute video chat allows you to communicate more about yourself and who you are than you could manage with dozens of emails. As human beings we’re hardwired to pay attention to body language. It’s all we had before we developed speech and language. We all have our own prejudices with body language, like if somebody can’t maintain eye contact with us. And that’s why video chats are so important when you’re part of the online dating scene – you get to see all those visual cues that never come across in emails or text messages. So which of the international dating sites offer the best video chat services? Because they’ve spent a whole pile of money to create their state-of-the-art video Cam Share chat technology. They’ve taken all the guesswork out of video chatting by providing you with a dedicated platform to chat to women on their sites. All you need is a functioning web cam and microphone and they take care of the rest. You will need to purchase credits on these sites to use the Cam Share feature, but they do offer a big discount when you buy your first package of credits. Online dating has evolved a lot in just the last decade alone. The initial stigma of using online dating sites in the early 2000’s was replaced by everyone wanting to use them when they realized their buddy found the perfect woman online instead of hanging out in a bar…or at a wedding. Nowadays international dating apps are as popular as any others, and especially now that most of the silly myths around international romance have been addressed. …but which apps are best for international daters? This app took the idea of online dating and simplified it by simply allowing you to swipe left on people you’re not attracted to, and to swipe right on people you’d actually like to meet in real life. Every other dating app has been playing catch-up ever since Tinder was first released. But is it any good for finding single women or hook-ups in other countries? It is now thanks to ‘Tinder Passport’ a premium feature that costs $9.99 per month, but allows you to swipe on profiles from anywhere in the world. Is there really any need for a dating app aimed solely at Spanish speakers? In fact, Spanish will be the most commonly spoken language in the United States by 2050, if not a bit sooner. The demographics of dating are changing, so much so that Latinas now need their own dating app. So it might be time to add some Spanish language lessons to your future plans. 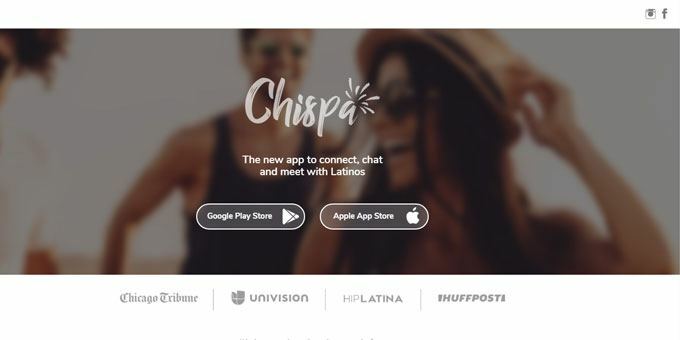 Chispa (which translates to Spark) is basically Tinder for Latinas, and according to a recent U.S. census there are around 6.5 million single Latinas in North America alone. You can quadruple that figure to take South American singles into account. It truly is international in nature, including profiles from North America, Colombia, Haiti, Spain, etc. Isn’t it a bit racist to have a “Latina only” dating app? There’s no question about the usefulness of the Anastasia Date app for international daters because it was designed with you in mind. This app has one single purpose: To introduce you to eligible, single hot women from Eastern Europe, Russia and Ukraine. Anastasia Date is obviously free, and has a very clean user interface, so you’ll be registered and chatting with stunning women in no time at all. Do bear in mind that you’ll need to buy credits to use advanced features like video chatting, but they’re worth every cent. This is the perfect international dating app for guys looking for single Eastern European women. 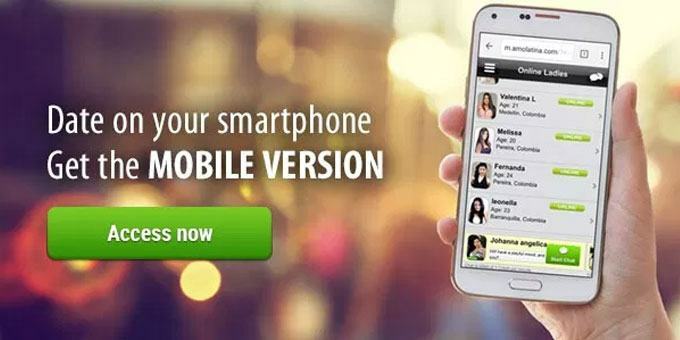 This app is from the same people who created the Anastasia Date app, so has many of the same features. The key difference here for guys interested in women from other countries is that the user profiles are for women from Costa Rica, Brazil, Peru, Colombia and throughout South and Latin America. It offers multiple ways to communicate with any of the stunning Latinas you want to get to know better, including text, email and video chat. All you have to do is pick the method that you prefer and start tapping. Looking for a way to connect with more single, fiery Latinas than you can shake a stick at? Well then, AmoLatina should be your next download from the Google Play store…but it’s not available for iOS. It was only a matter of time before Facebook wanted their slice of the international dating pie. And it makes sense, because with 2.2 billion users, Facebook is the perfect platform for a dating app of some kind. Facebook aren’t going to release a standalone dating app though. Instead they’ll integrate the feature into the Facebook app itself. 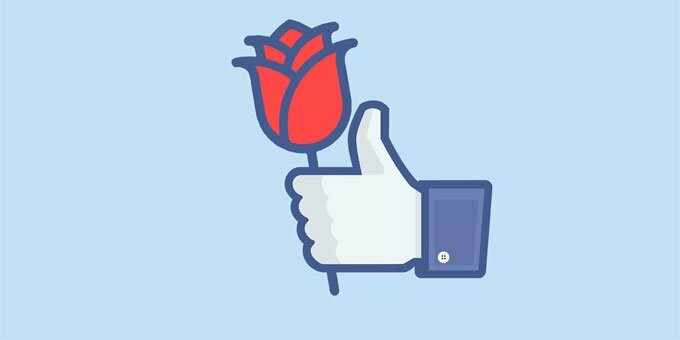 Colombia was the first country to get access to registering for ‘Facebook Dating’, but that’s only since September 20th, 2018 and won’t be live for another few months. What we do know is that you’re limited to “showing interest” in no more than 100 people per day, and you can’t chase after people who don’t reply to your initial messages. Your messages are kept in a separate area until the other person replies, at which point they’re moved to the main messaging feed. None of your conversations will appear on the News Feed – the dating aspect of Facebook is completely separate to your day-to-day usage of the app. So, now we come to the point where it’s time to look at what free options are available. Relax guys, we know that some of you want to test the waters before you open your wallet, and we absolutely don’t blame you for that. It pays to be cautious when you first get started in the world of international romance. So this is a healthy habit you’re developing. The name might suggest that this is a site only for Asians dating Asians, but that’s not the case. In a world of pay-to-register dating sites it’s always nice to find a site that’s completely free. So, when you register with DateinAsia.com you won’t be charged for viewing profiles or sending messages. Owned by Match.com, Tinder revolutionized online dating by making it incredibly simple to filter out the people you aren’t interested in. This was the exact opposite of every other dating app at the time. As with most dating apps, there’s a paid version of Tinder called Tinder Plus. But that doesn’t mean that the functionality of the free version of Tinder makes it unusable. The only real limitation is that you have a limited number of swipes to use each day. You will need Tinder Passport if you want to make your dating opportunities global, but that does come at a cost. It only took a few short years for Facebook to move beyond college campuses and become the dominant social network, eliminating MySpace in the process. Remember when MySpace was the most popular social media platform, or when people still used Bebo? Very few Millennials do, and Facebook captured the entire Millennial market in one fell swoop. 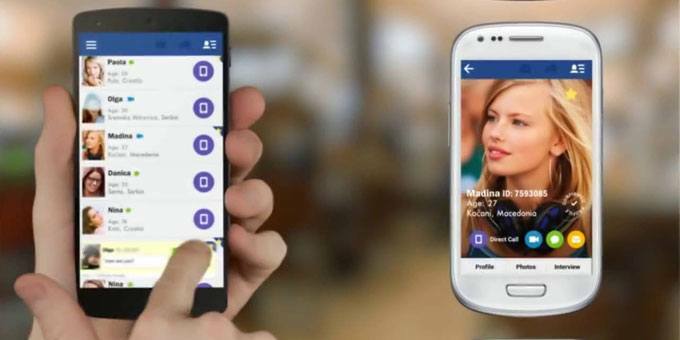 Although there have been a few abortive attempts at dating apps on the Facebook platform, the company is now officially entering the dating arena with the “Facebook Dating” feature. For right now this feature is still being tested, and might not even launch to the public. Wow, you made it all the way to the end of our roundup of the best international dating sites and apps. We know there’s a lot of information to absorb, but take your time going through it and we know you’ll find at least one app or site that will help you take your international dating game to the next level. Don’t forget to leave a comment below, maybe telling us what your favorite international dating site or app is.